The Superintendent Cindy Marten mismanagement disaster continues! 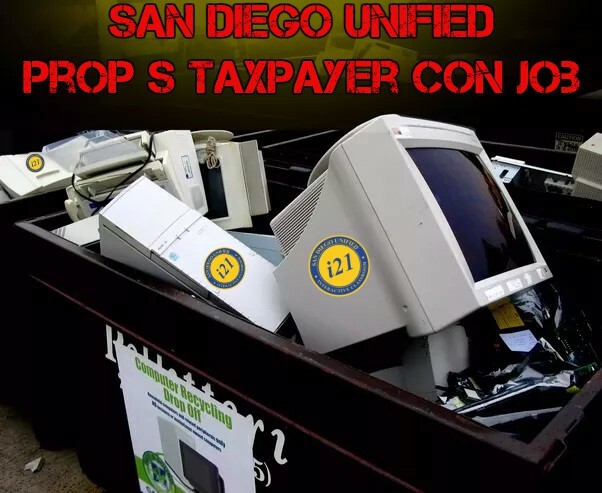 The comment from a former San Diego Unified School District (SDUSD) Integrated Technology Support Department (IT) employee named “Tech” exposed issues that we did not include in our article regarding computer and technical equipment funded by Prop S.
Since this important comment was added to a past article that may be missed by our readers, we felt it was necessary to highlight its valuable message. District Deeds neglected to address two items brought up by “Tech”. First of all, the issue of Preventative Maintenance for thousands of computer related devices for a huge organization like the SDUSD is a critical operational consideration, Based on the new SLA’s we exposed, Preventative Maintenance is being COMPLETELY ignored by the inexperienced senior leadership headed by incompetent Superintendent Cindy Marten. Secondly, the comment shows the depth of human resource damage this horrible budgeting decision has wreaked. A dedicated smart, and caring IT tech who was fully committed to supporting the education of Students and the effectiveness of Teachers was thrown away. “Tech” was reduced to only a number in the frantic budgeting decisions in the face of a $124 million budget mismanagement disaster created by “No Mercy” Marten. This is NOT the way an organization with over a BILLION dollar budget should be managed and clearly shows the depth and breadth of the ongoing disaster of appointing Marten improperly 4 years ago. Thank you “Tech” for your comment…we are sure that with your skills and dedication some lucky employer in San Diego is already benefitting from your ability. THANK YOU for your contributions to our Students and Teachers success! GOOD LUCK in all your future career endeavors! As with most budget issues the District and Board is clueless when it comes to managing current budgets and developing strategic budgets for the future. Having sold hundreds of millions of dollars of equipment and services in my career, I have always noted to clients that it is not just the cost of acquisition but the cost of ownership. There is an acronym for his: TCO or Total Cost of Ownership. By example, buying a cell phone is cheap, owning the cell phone including monthly fees is expensive. Buying a horse is cheap, owning the horse is expensive. ALL those costs besides just “buying” must be factored in, a point apparently unknown to those that develop and manage the budget. Doing things that increase these other costs is just plain fiduciary irresponsibility.